PEACOCK BLOOM ART GLASS VASE by Accent Plus home decor, jewelry, decor, decorations, electronics, fountains, floor mats, art glass, vases, garden essentials, fireplace screens. 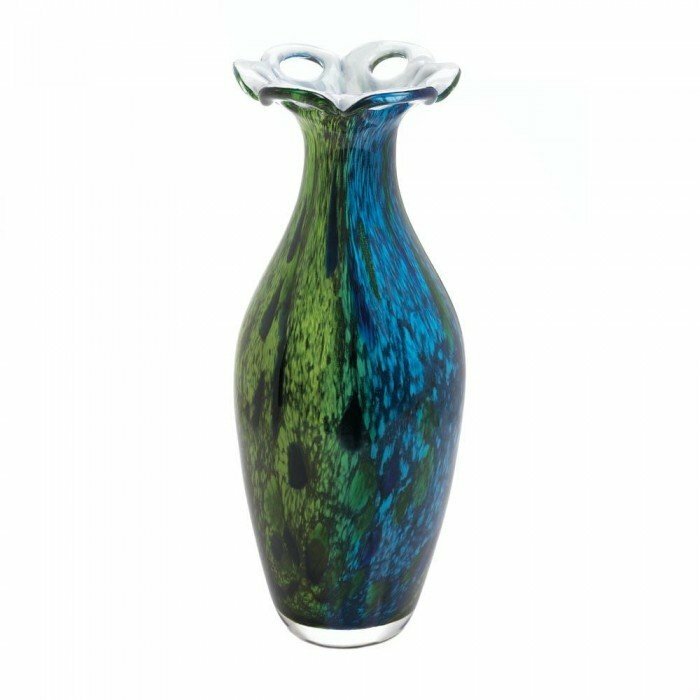 Strut your style sense by placing this artistic vase on your table, mantel or shelf. The deep greens and blues mix and mingle to create a stunning visual display of beauty that will dazzle day and night. For decorative purposes only. Individually hand-crafted for its unique beauty. Item may be slightly different from the picture shown here. Material(s): GLASS. Weight 8.6 pounds. Dimensions 6.75" x 6.75" x 16.5".